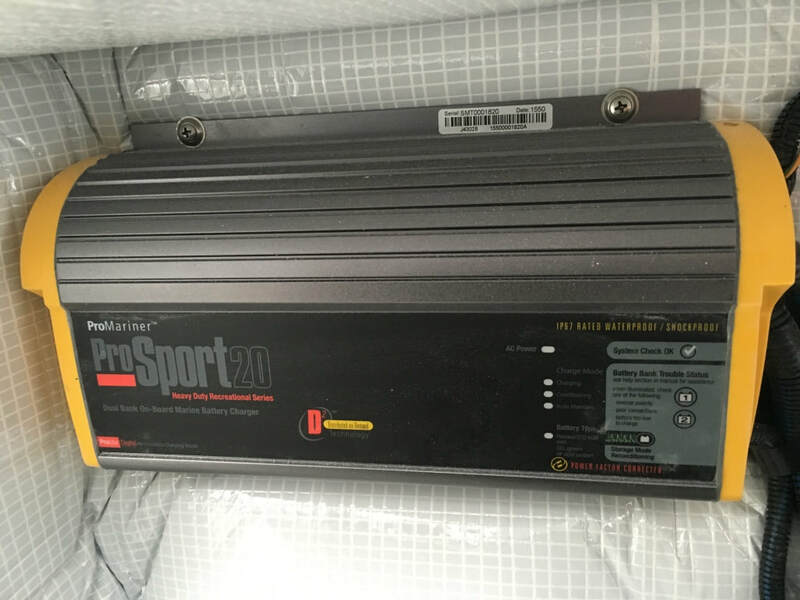 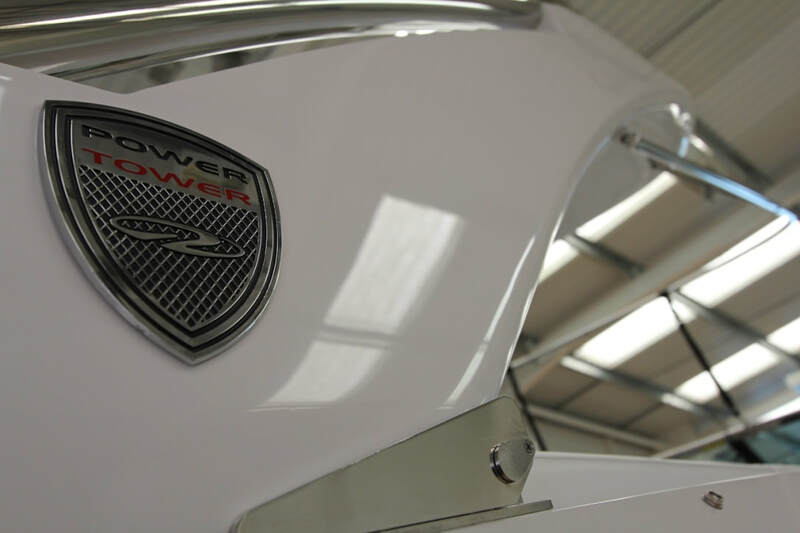 Balance of a comprehensive transferable warranty that expires June 2021. 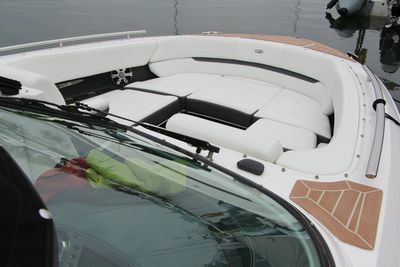 ﻿Presented in what we would describe as "even better than new" condition, this formidable bow rider offers expansive seating (CE cert for 13) in a very sociable cockpit arrangement. 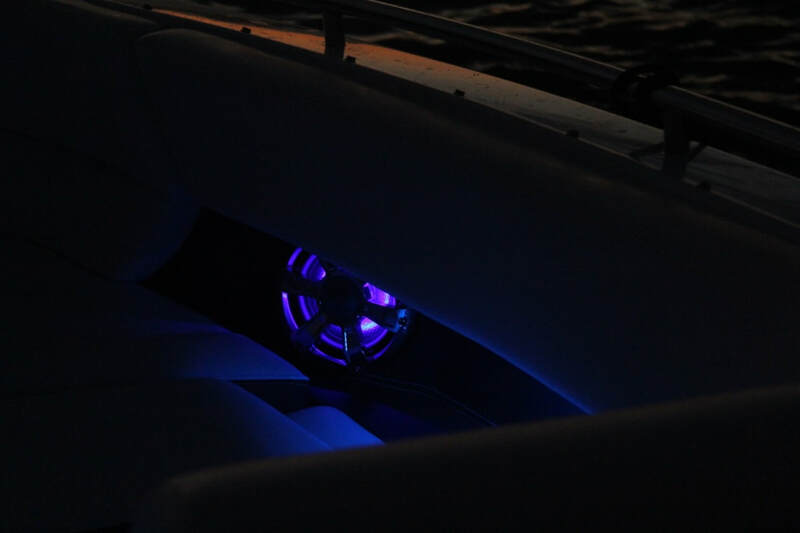 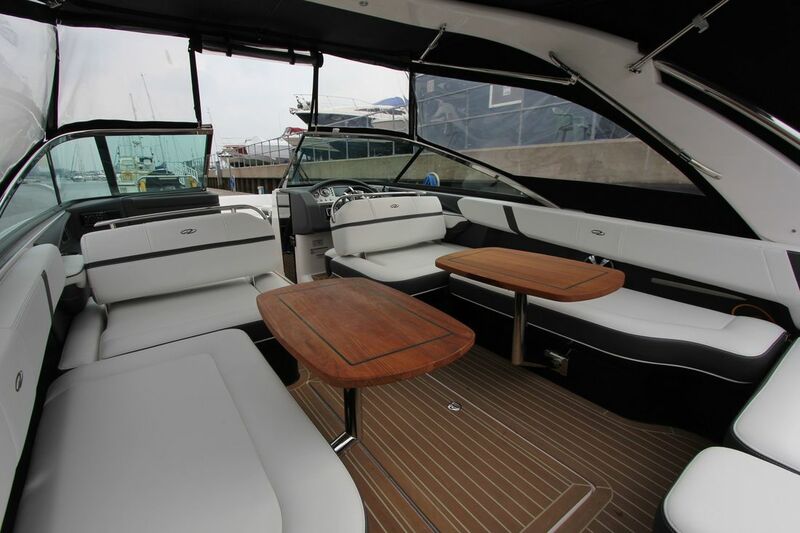 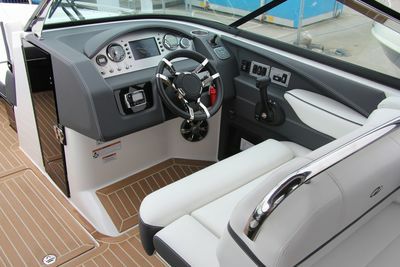 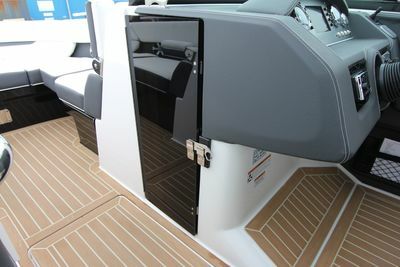 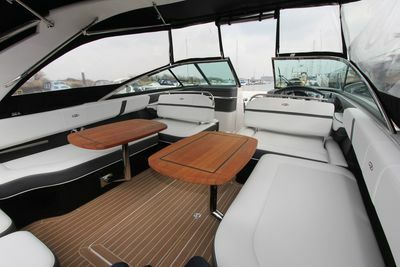 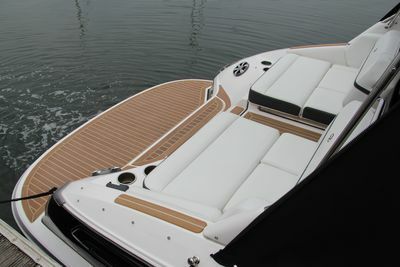 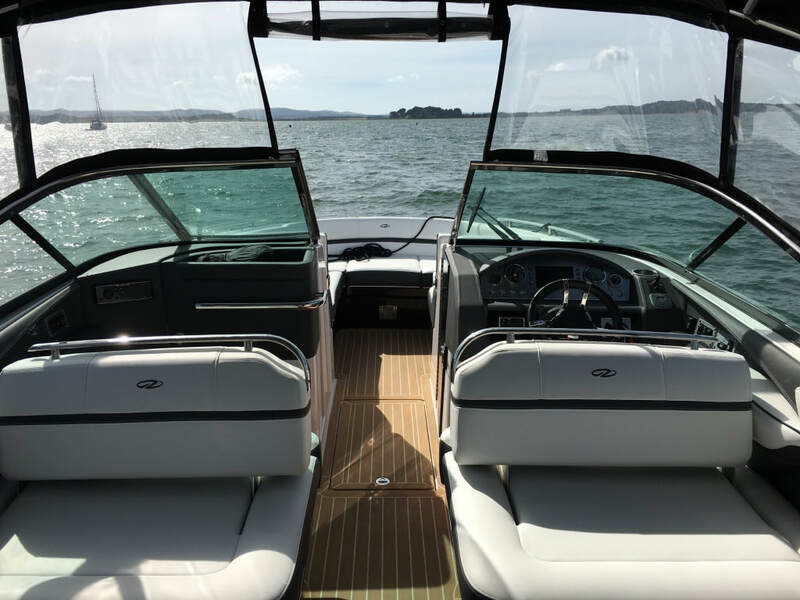 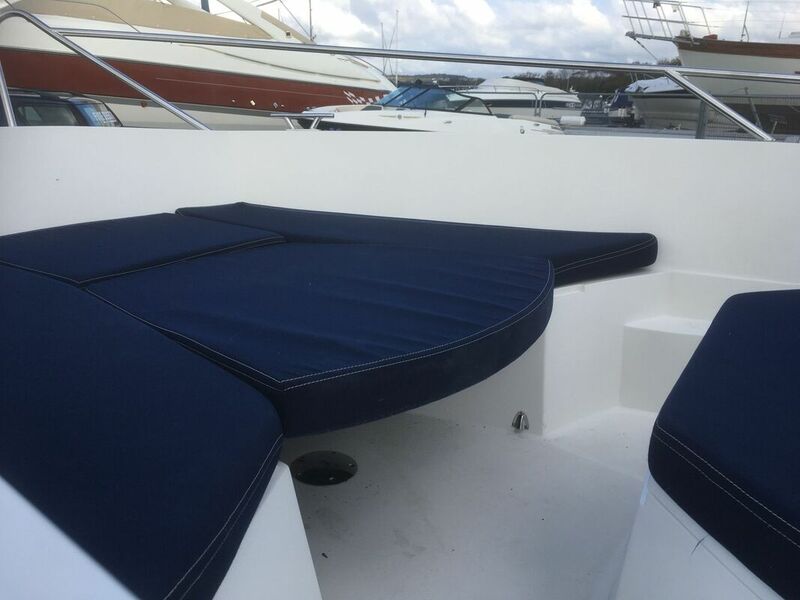 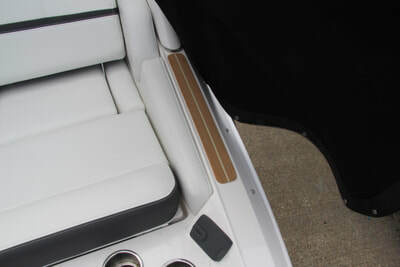 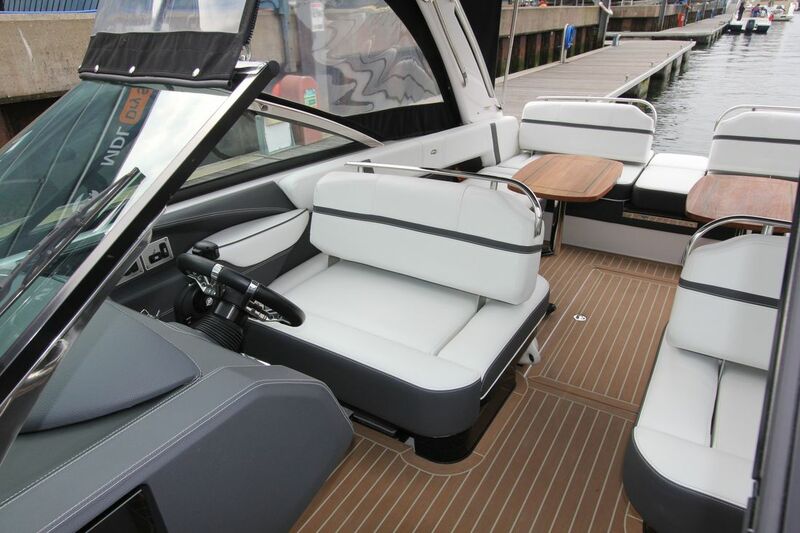 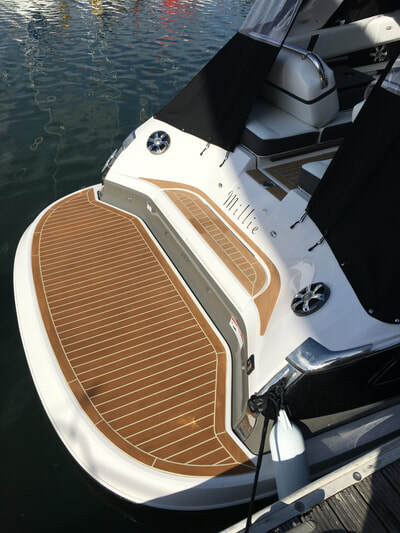 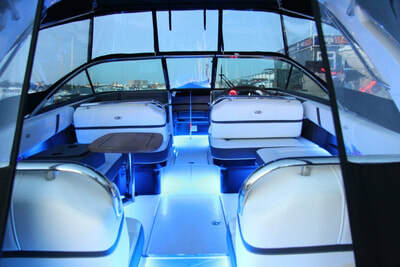 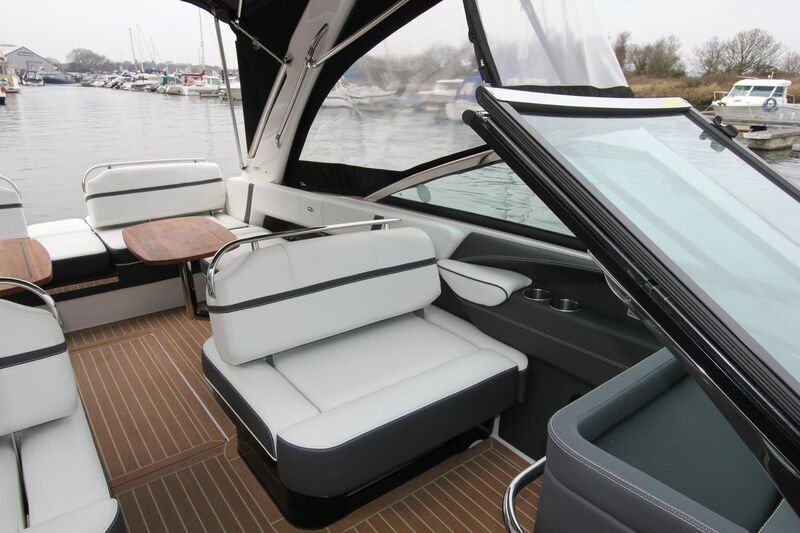 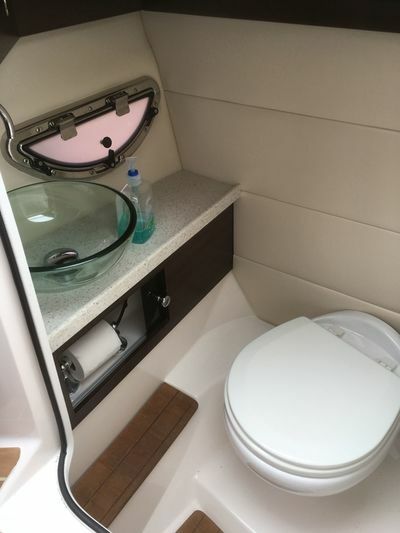 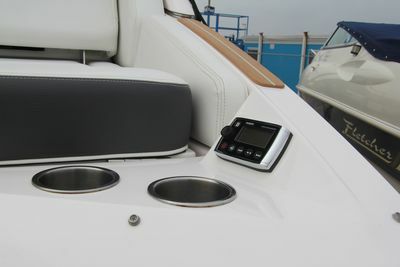 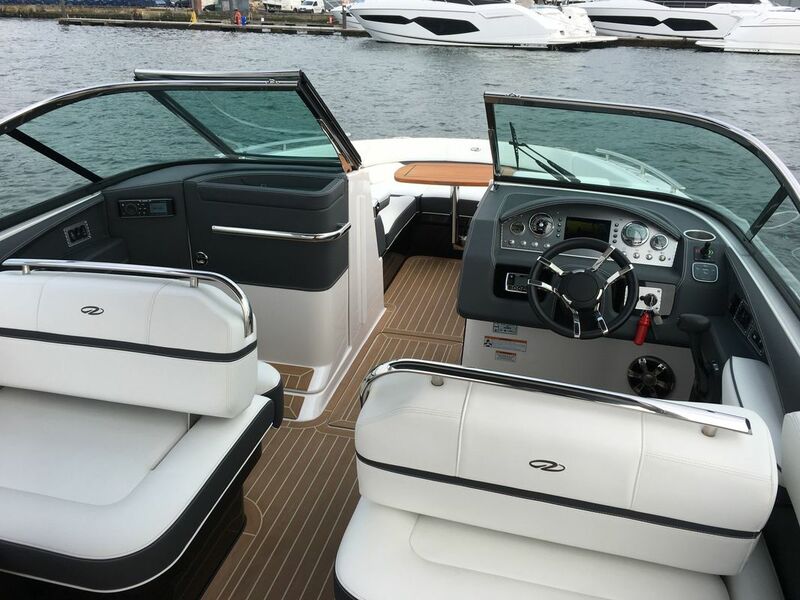 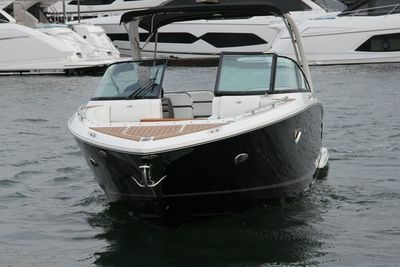 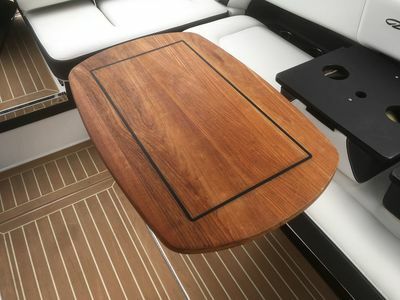 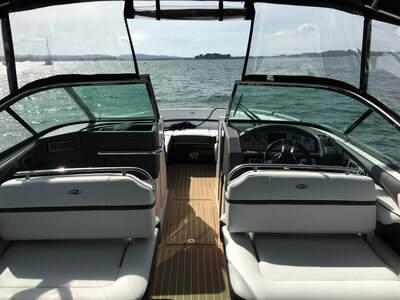 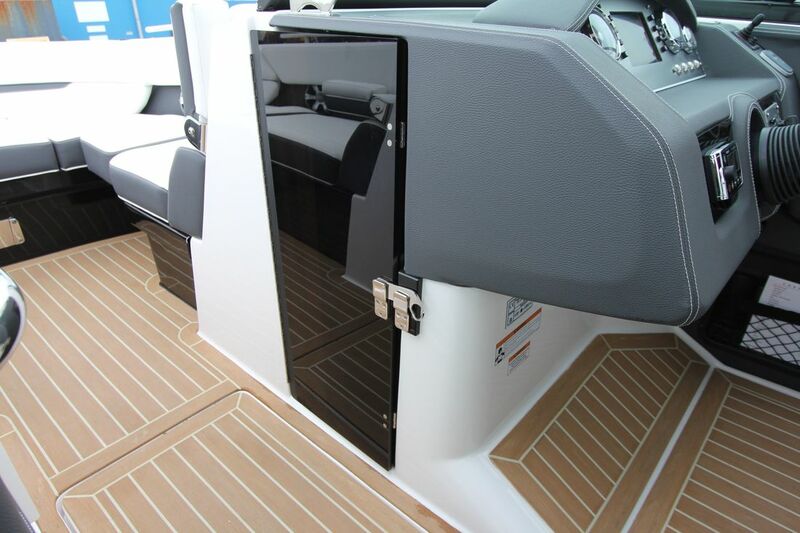 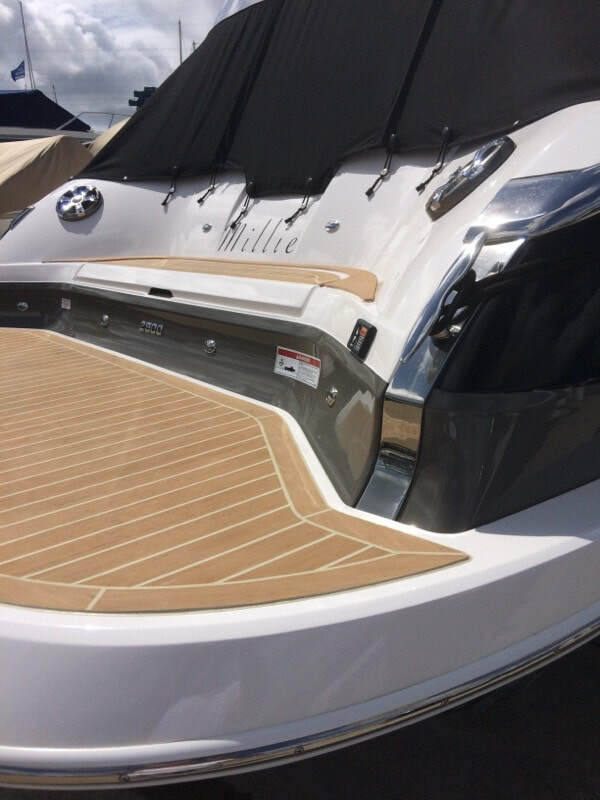 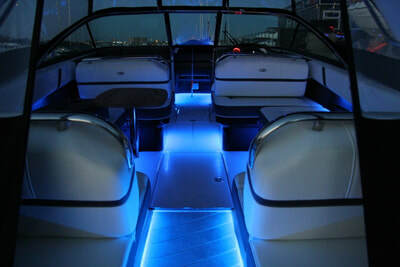 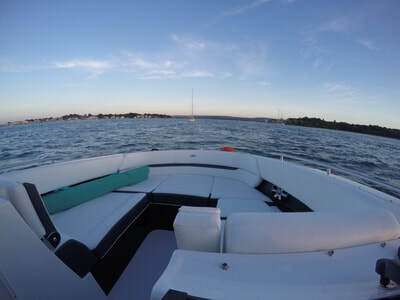 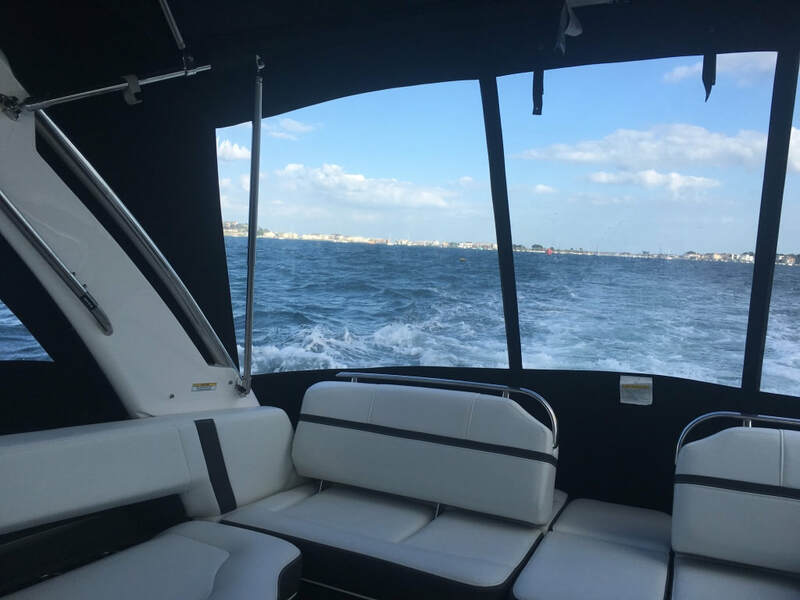 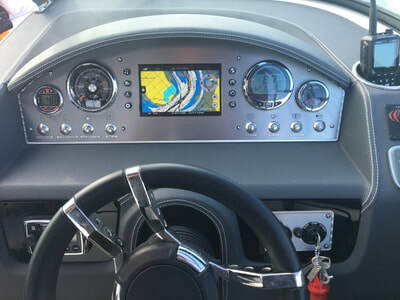 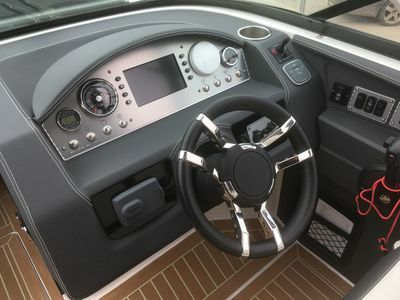 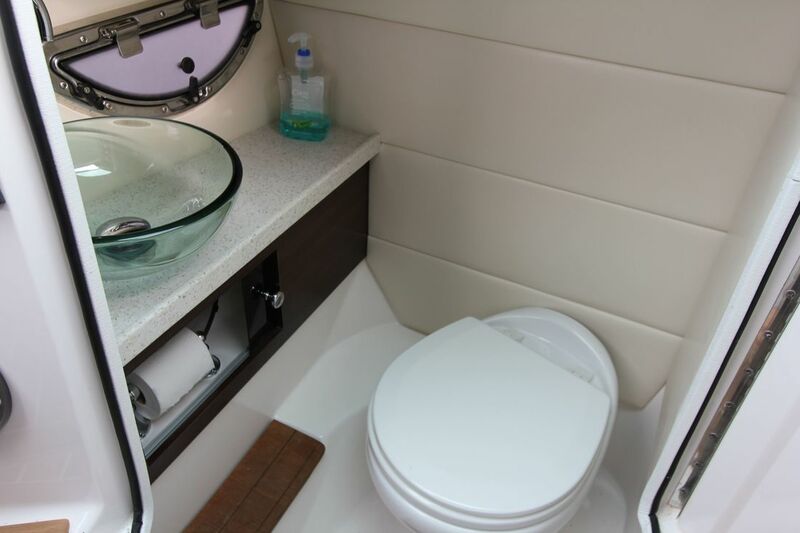 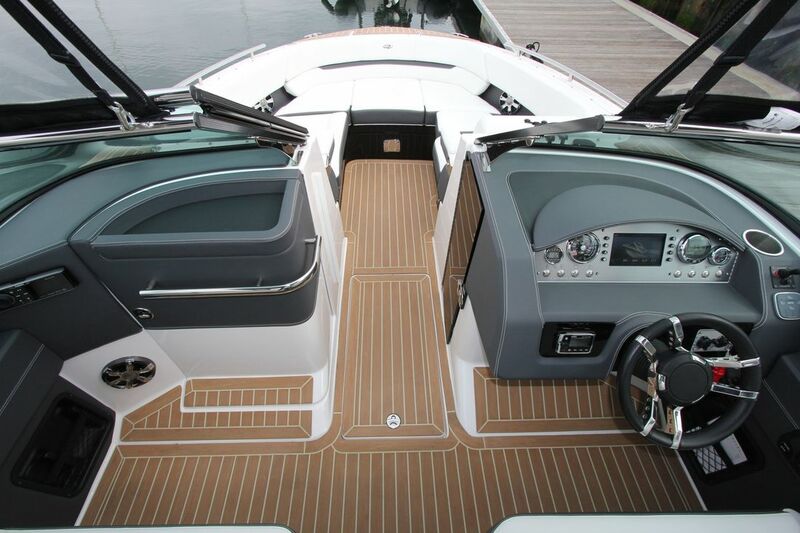 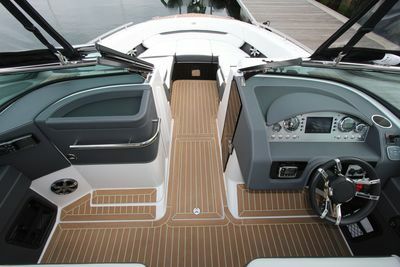 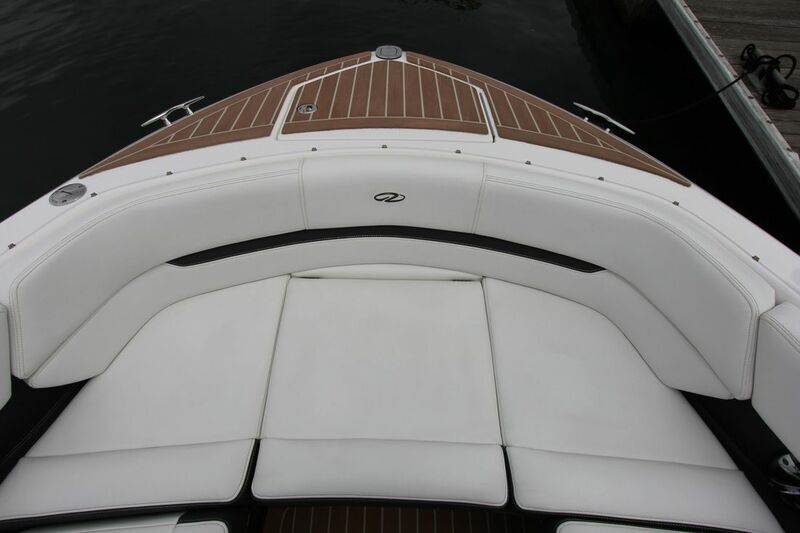 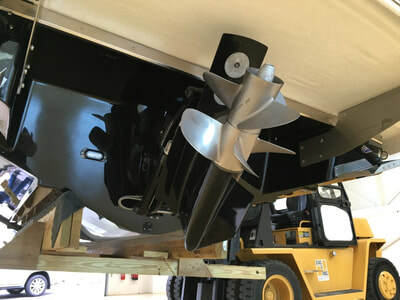 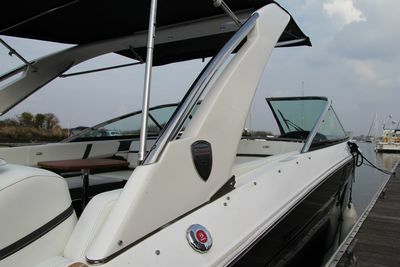 The boat features additional teak picnic tables fore and aft, separate marine heads compartment, full canopy enclosure, extended bathing platform, comprehensive entertainment system, courtesy lights and underwater transom lights ,auto trim control system, shore power and inverter plus navigation system & Regal Vue Display system plus much more. 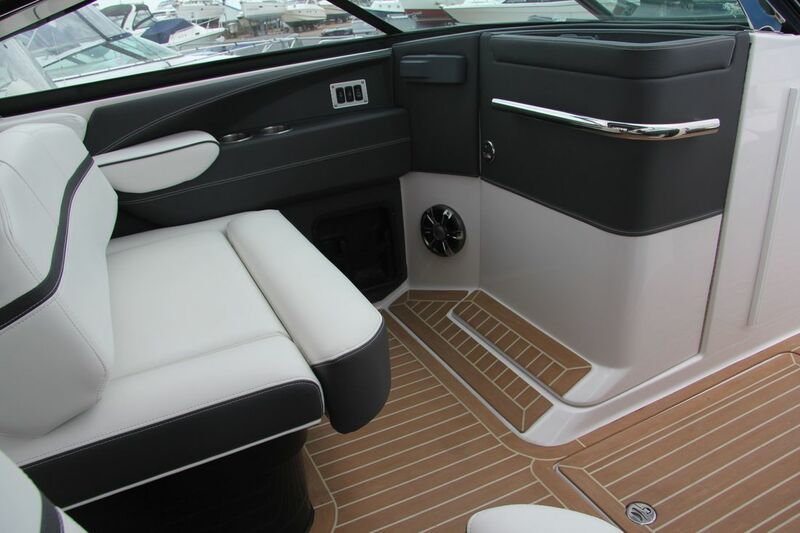 She comes with the balance of a comprehensive transferable warranty that expires June 2021. 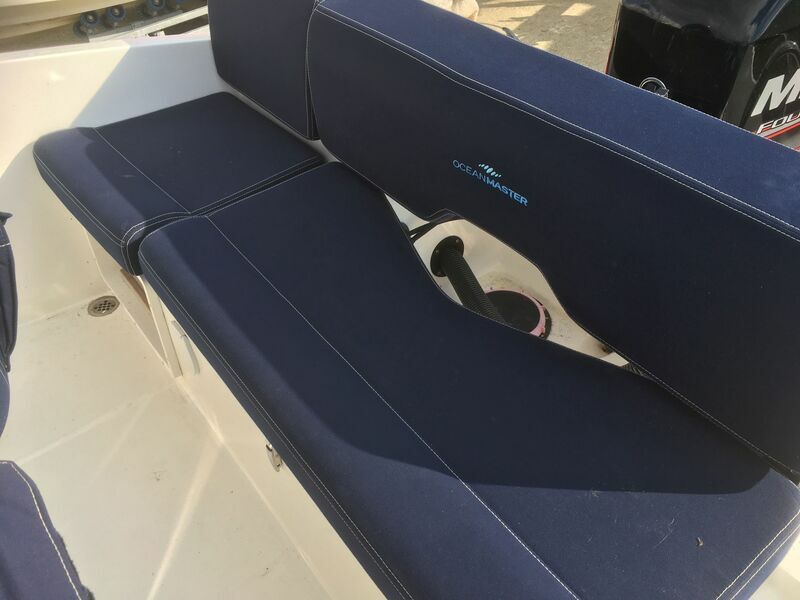 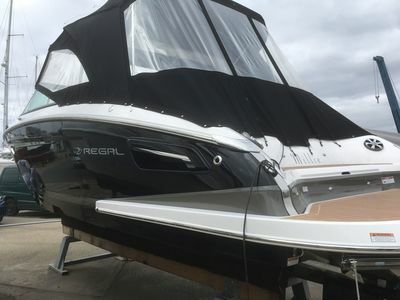 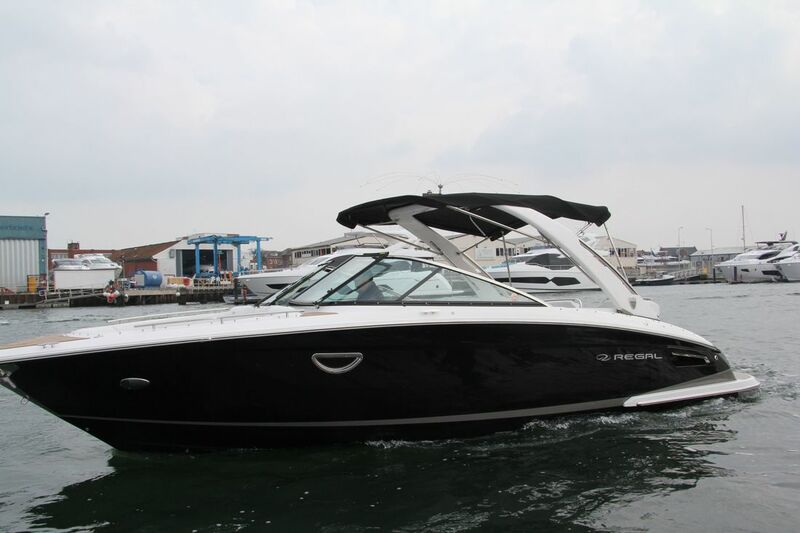 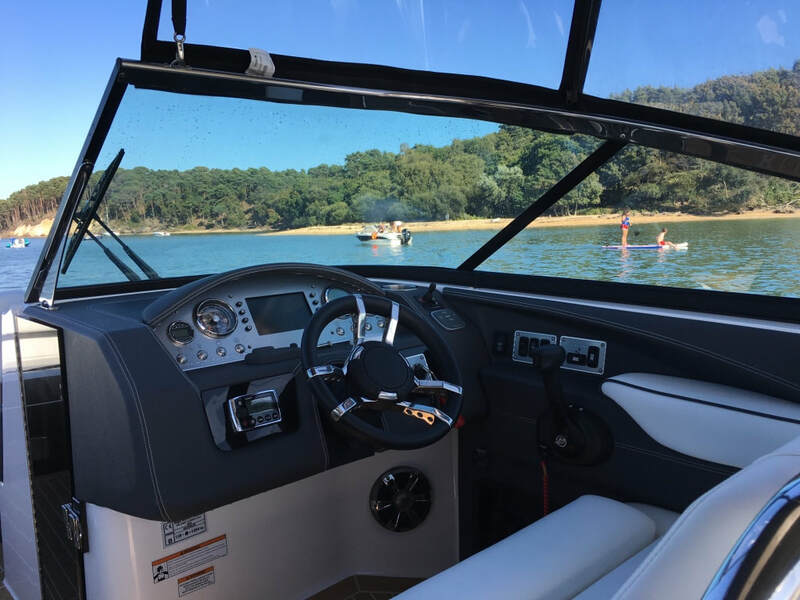 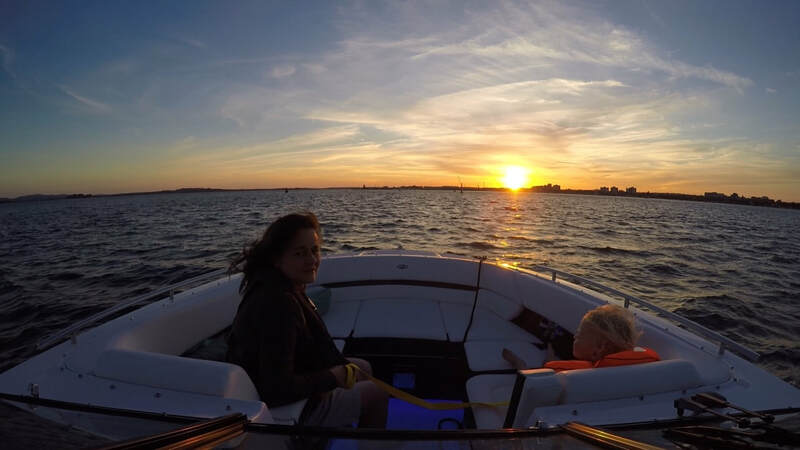 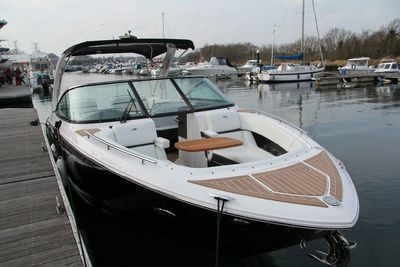 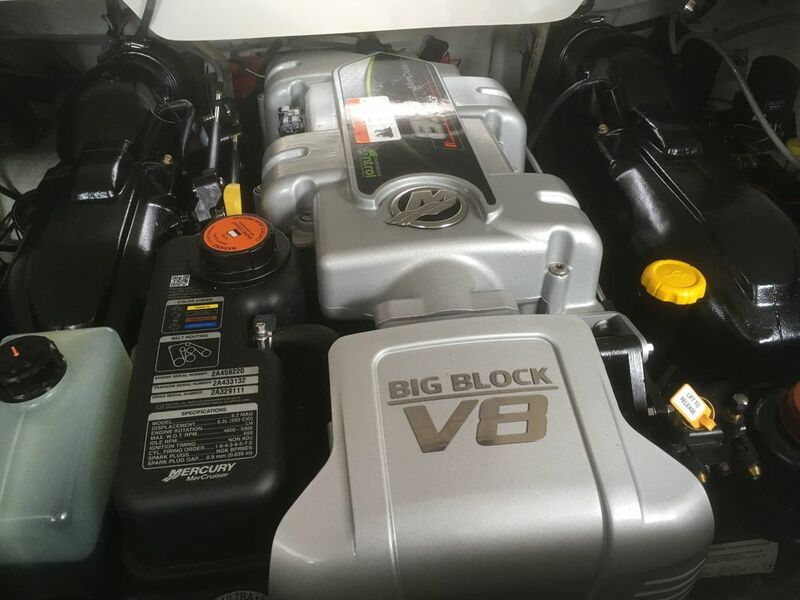 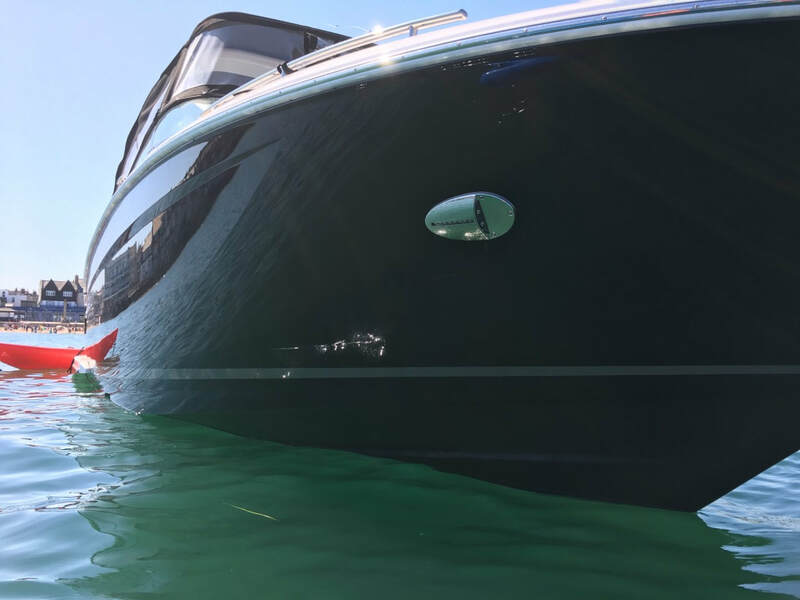 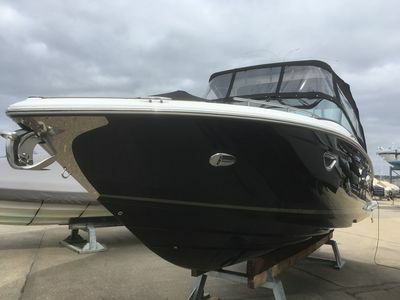 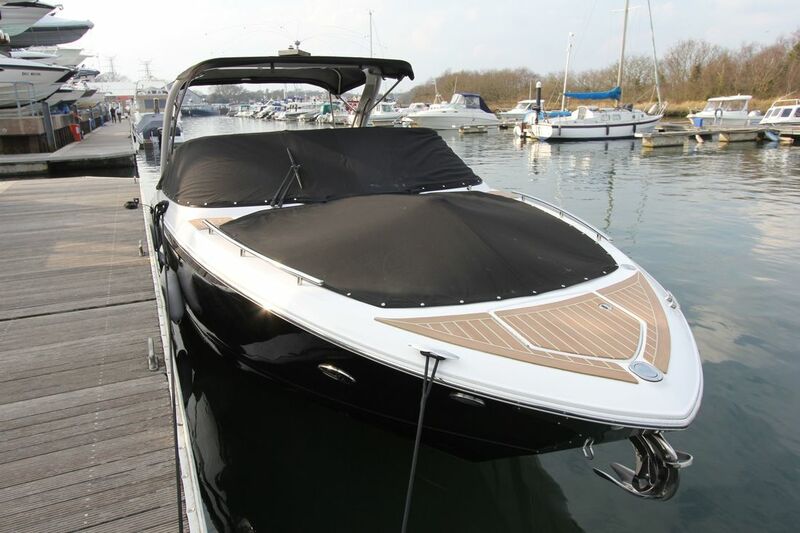 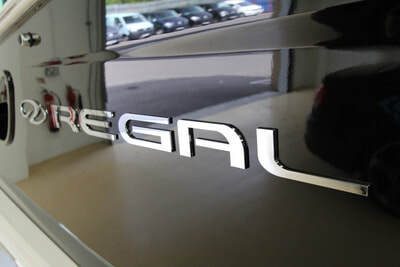 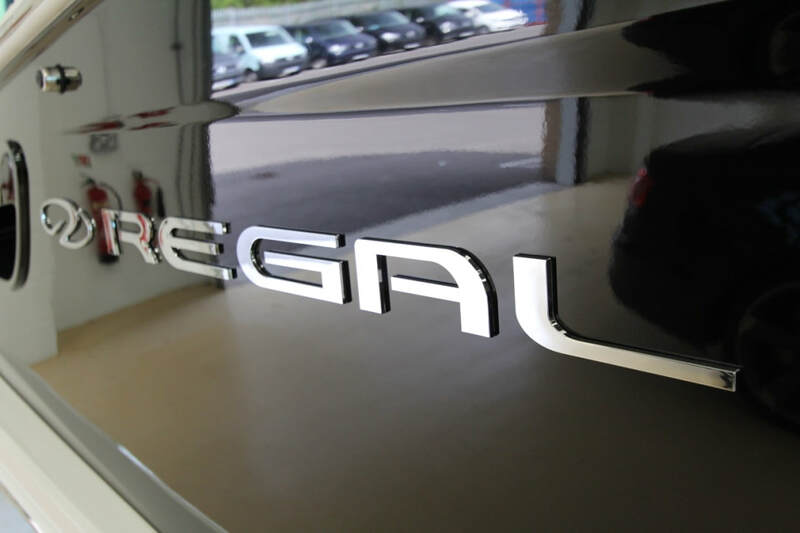 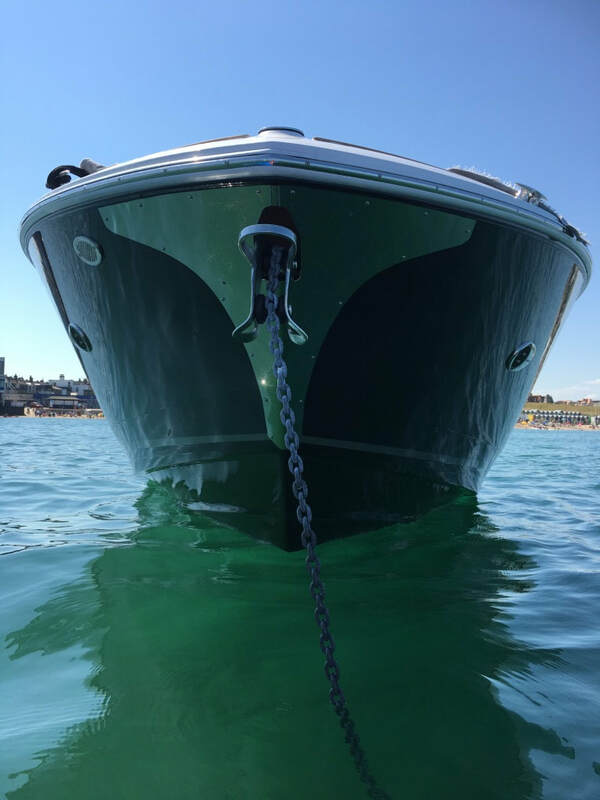 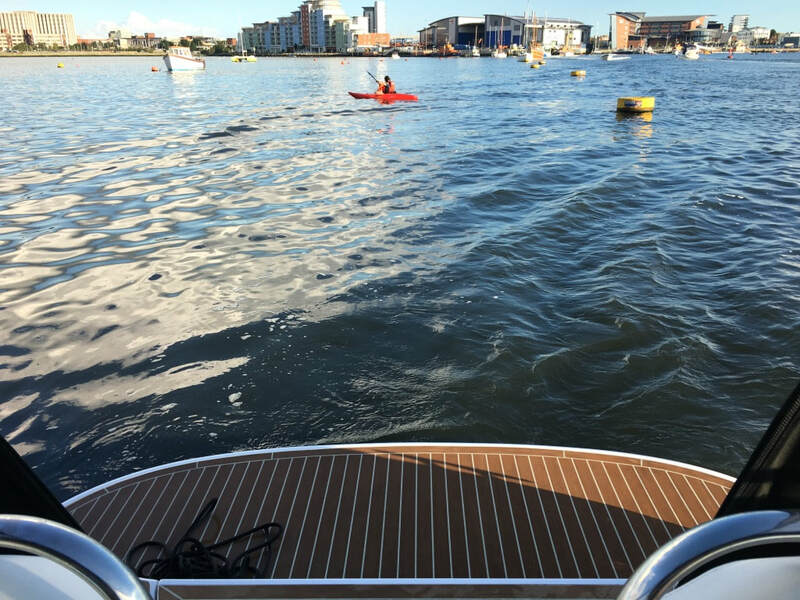 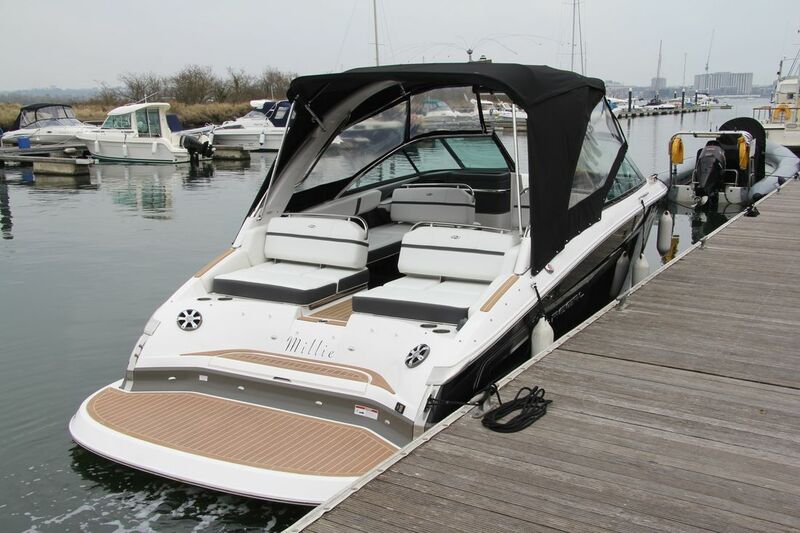 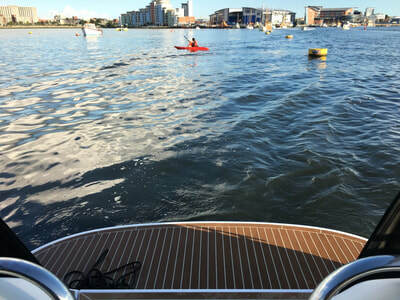 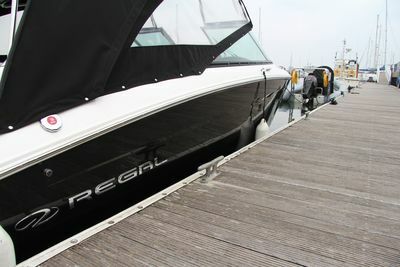 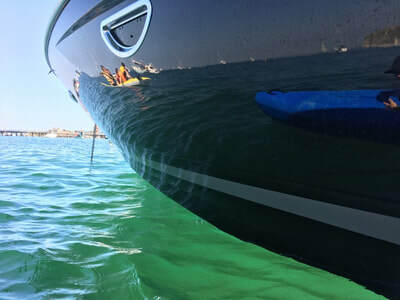 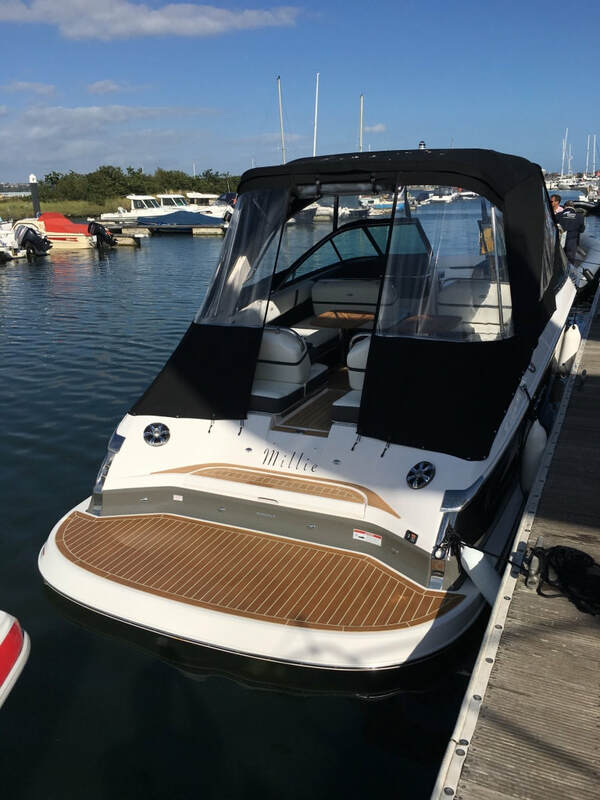 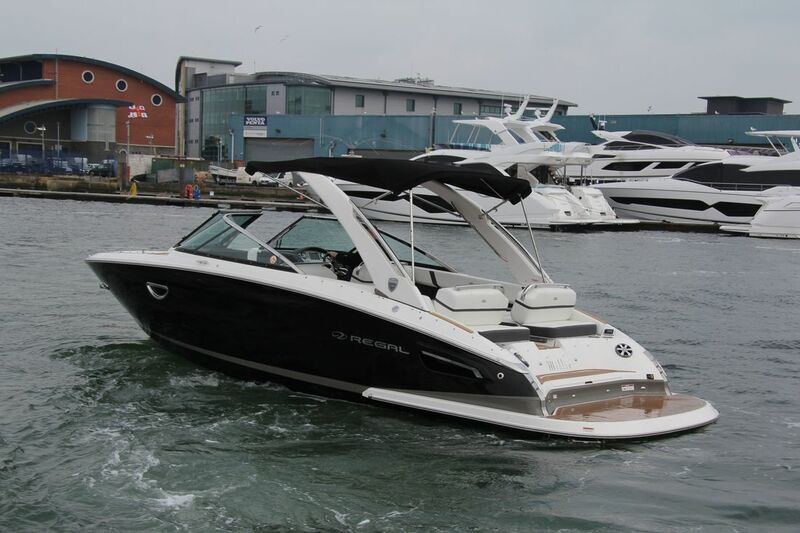 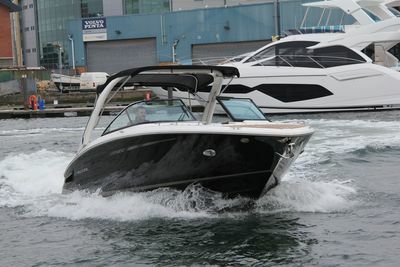 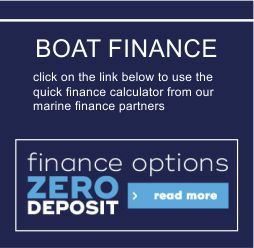 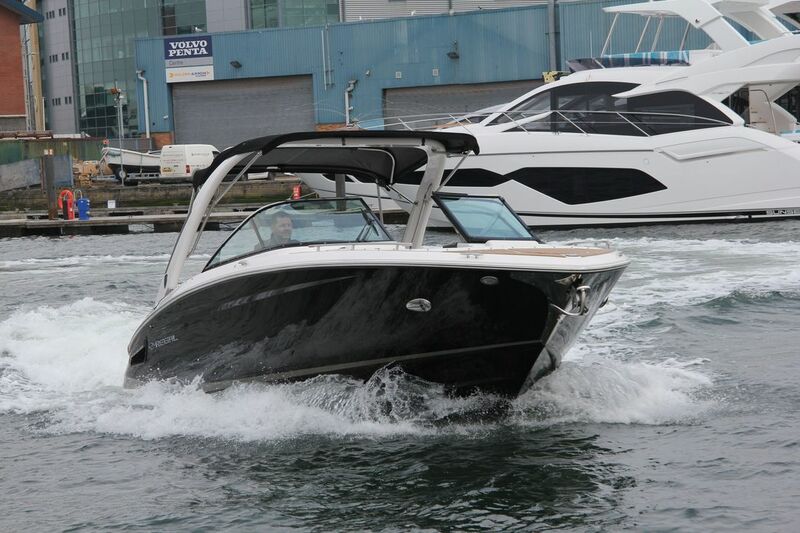 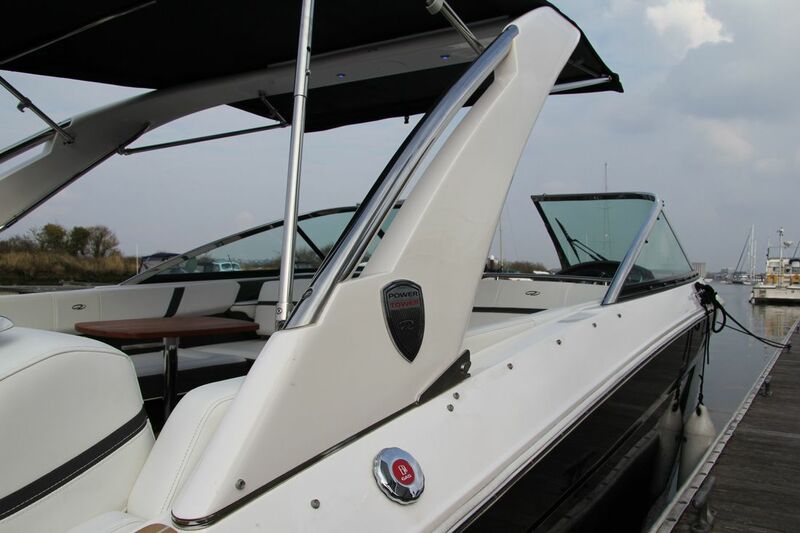 Lightly used and lovingly maintained 2016 Regal 2800 Bow Rider powered by a 380hp Mercruiser 8.2L MPi V8 petrol engine for outstanding performance. 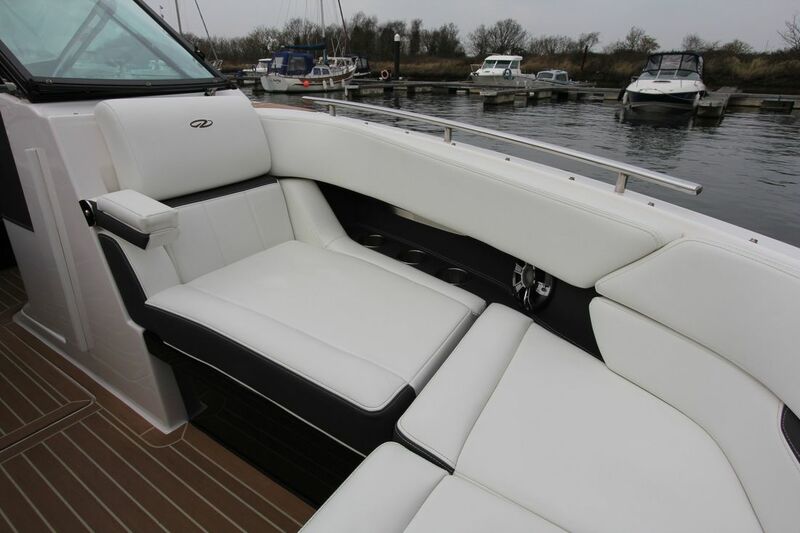 Presented in immaculate condition, having been fastidiously maintained from new. 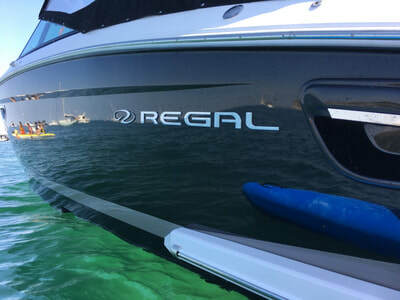 Purchased brand new from Regal in April 2016. 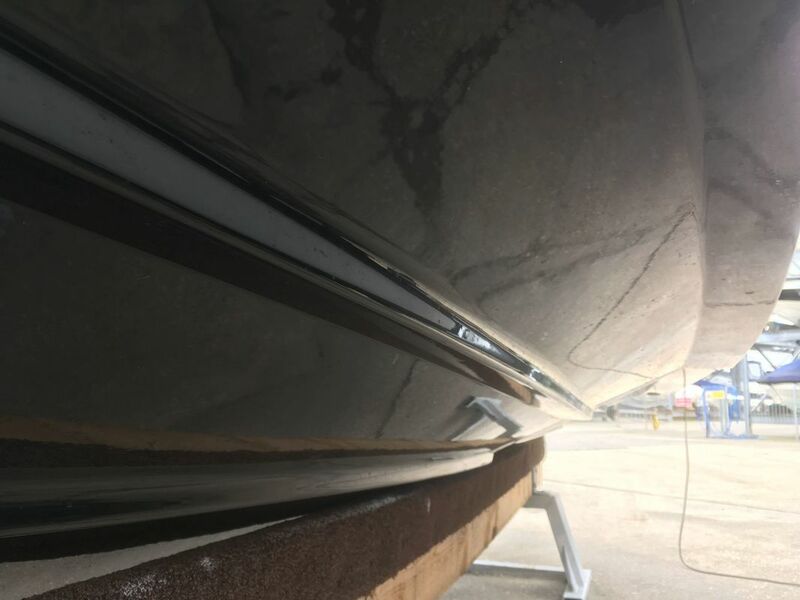 She was first put in the water in June 2016 and has been kept in a dry stack storage system ever since. The engine has only 80 hours and it has just been serviced. 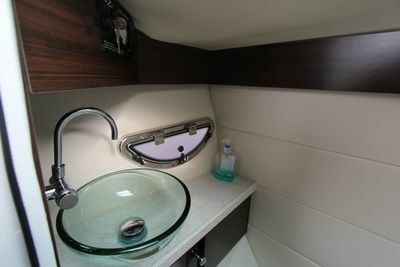 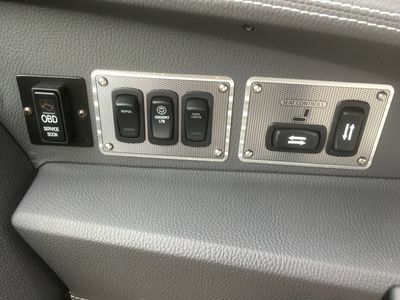 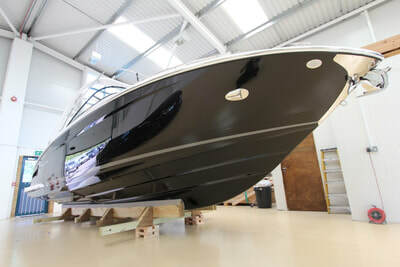 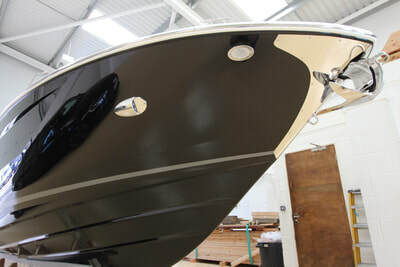 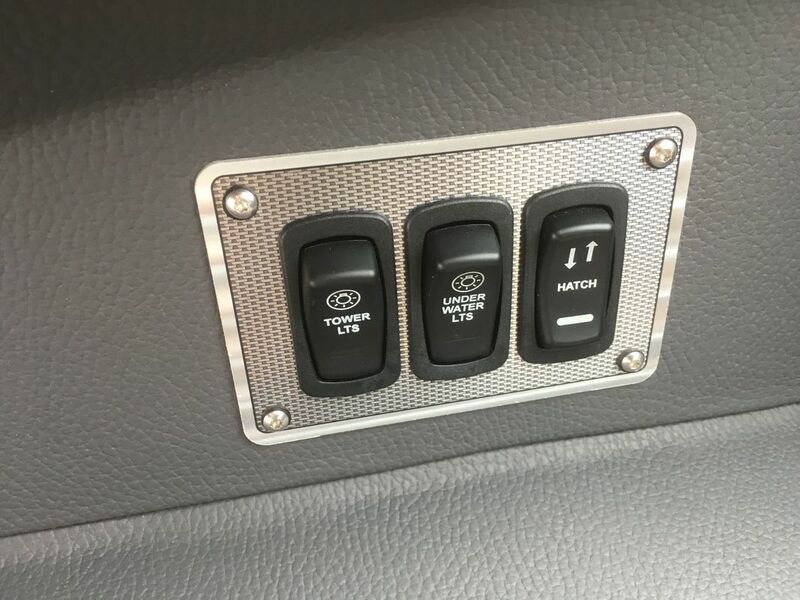 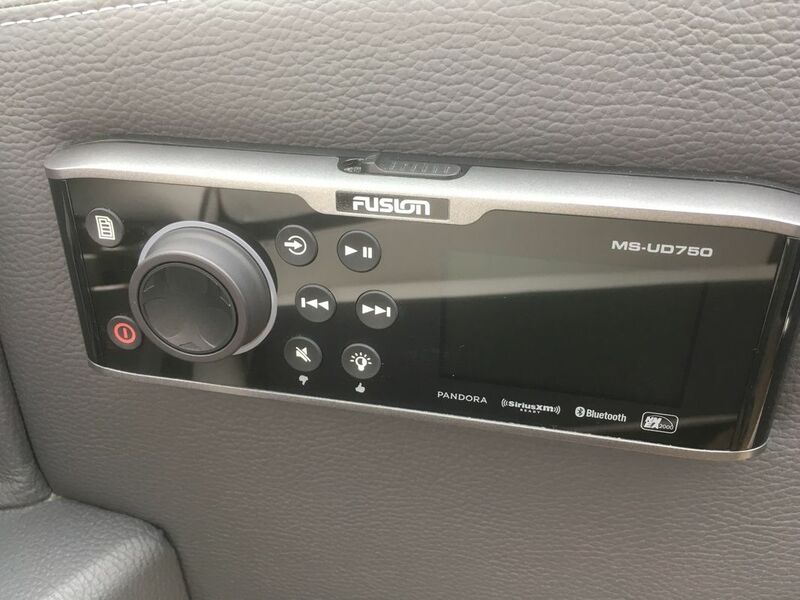 Some additional work has been undertaken as well as adding flexiteak flooring, automatic attitude trim control system. 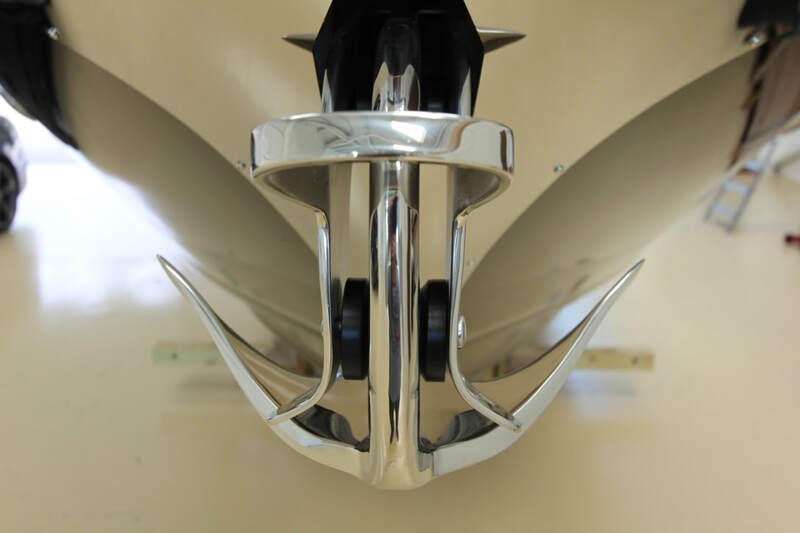 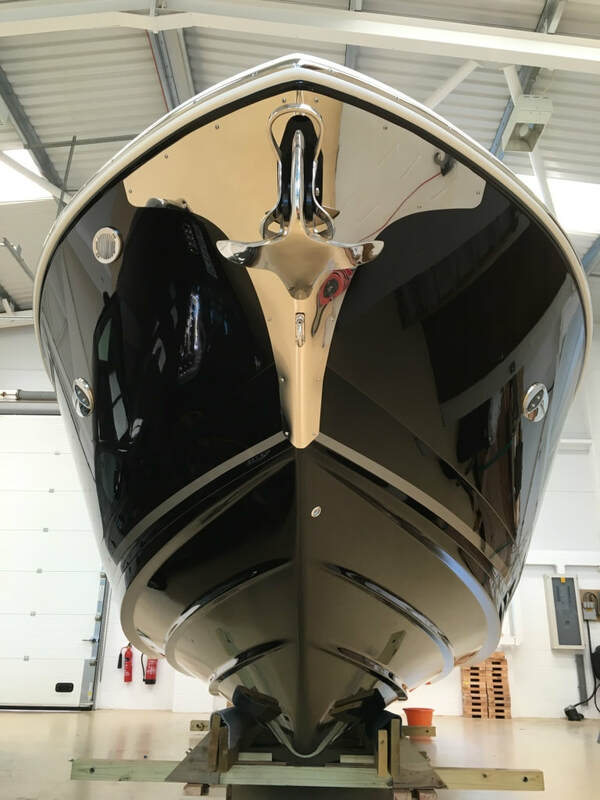 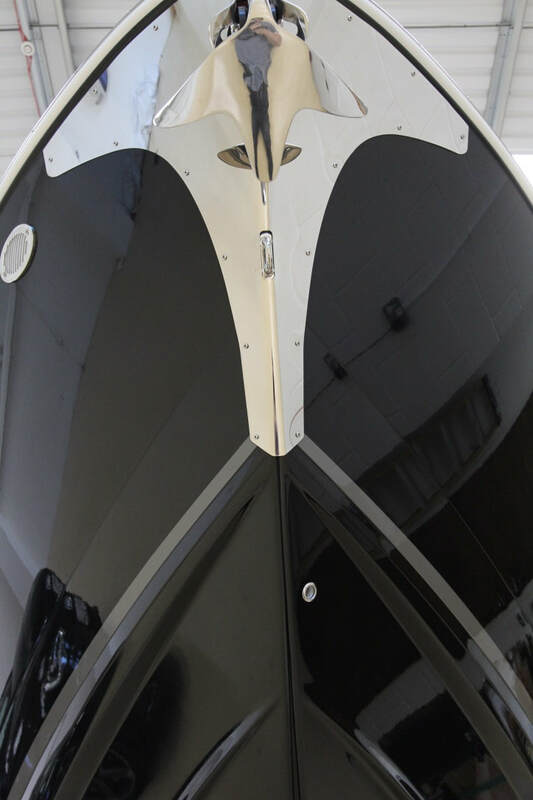 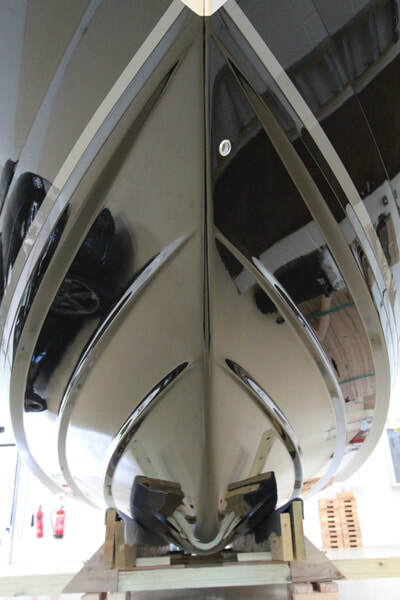 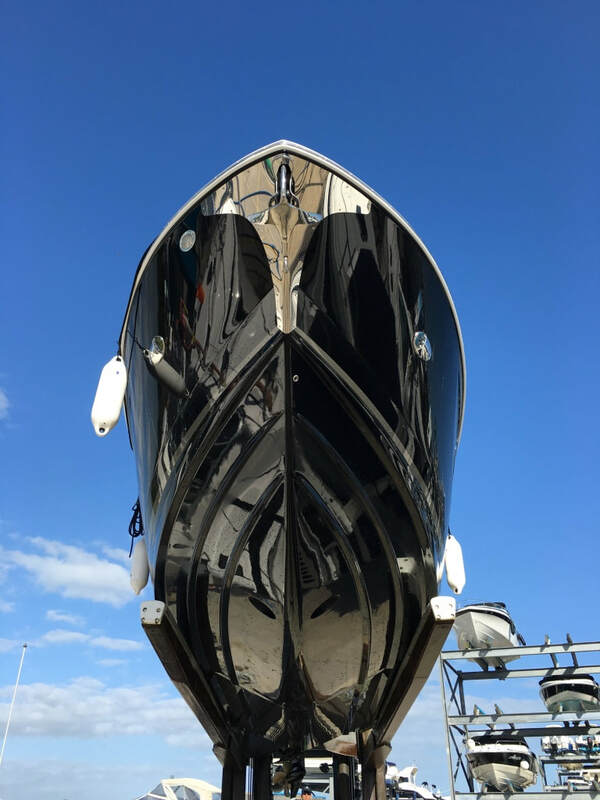 The entire hull has also been polished to remove all the factory induced marring. 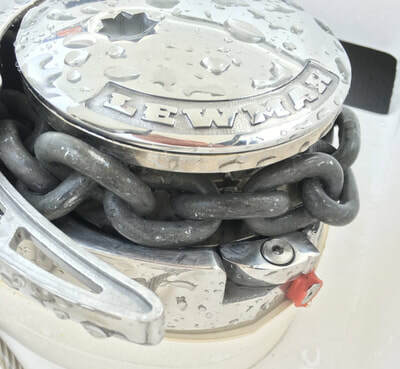 Then the entire boat was nano-coated for extra protection. 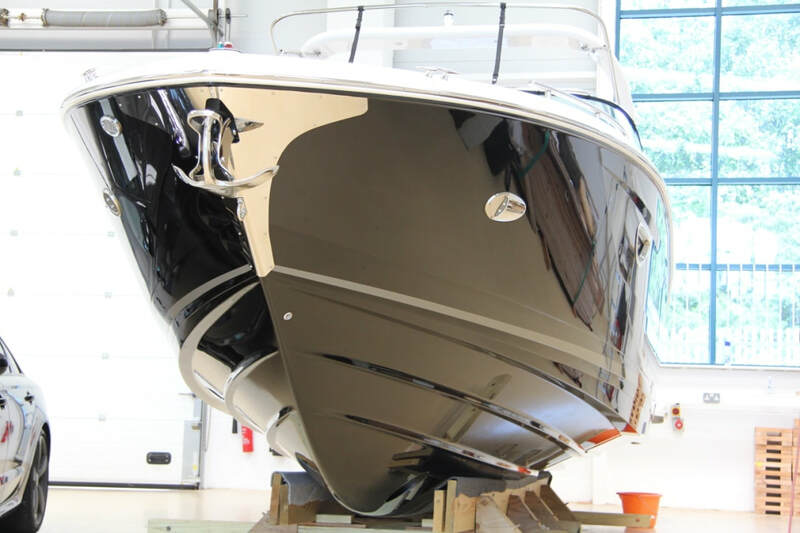 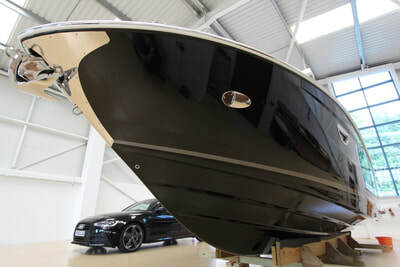 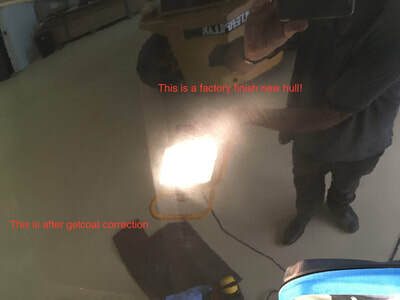 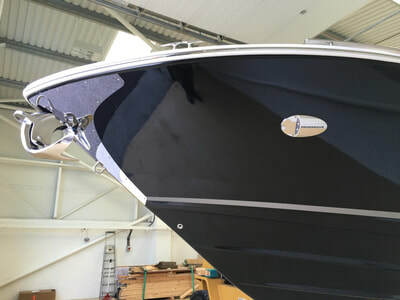 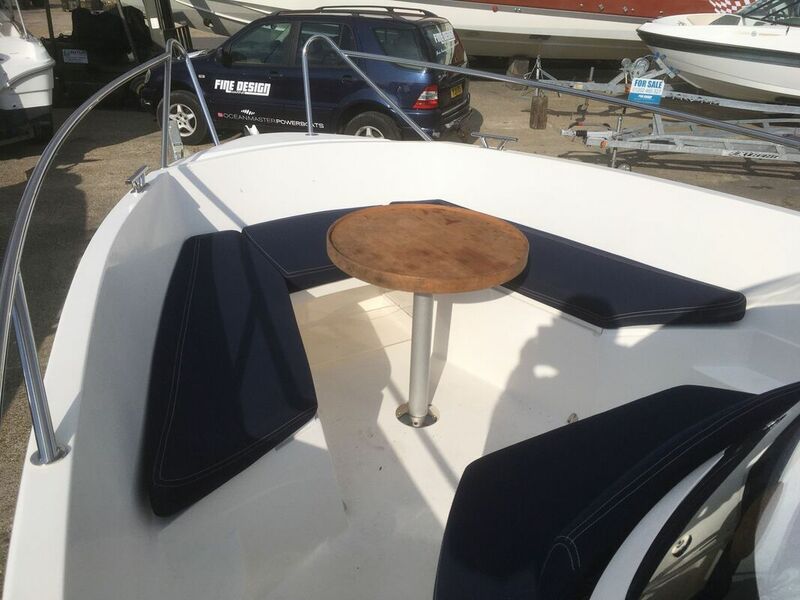 Hull gel coat correction, removal of extensive factory marring!